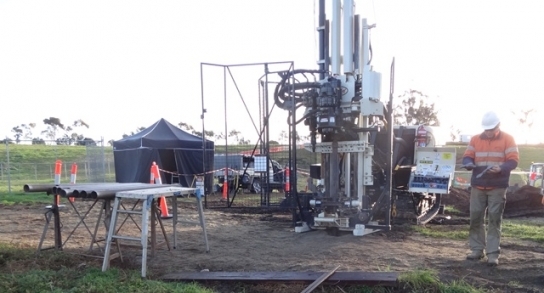 South Western Drilling was engaged by cultural heritage consulting firm Andrew Long and Associates to provide continuous sampling on the banks of the Werribee river prior to construction of a rail bridge. 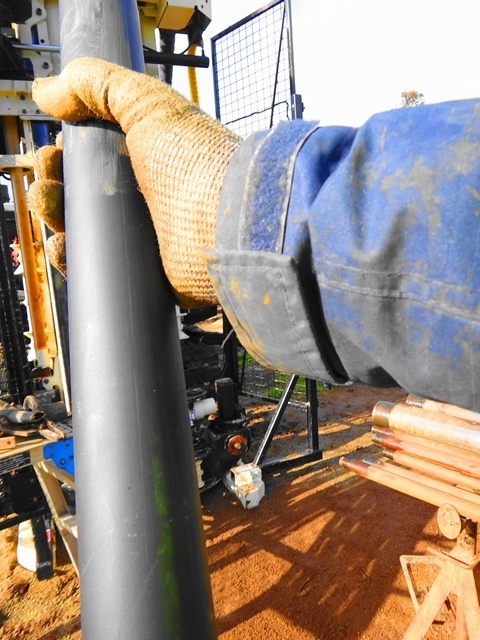 The samples are to undergo OSL dating providing both archealogical and geological data. SWD,s powerful 8040 geoprobe punched DT35 sampling gear in excess of 20.0m deep on this site only stopping when reaching the underlying basalt. The samples could not be exposed to daylight prior to arriving at the Lab. SWD provided opaque liners, once retrieved from the borehole the steel sampling sleeve was taken into black tent and samples were removed from the sleeve in the dark of the tent, wrapped in black plastic and prepared for transport to the Lab. All work was supervised by an archeaologist and descendants of the local indiginous tribe.